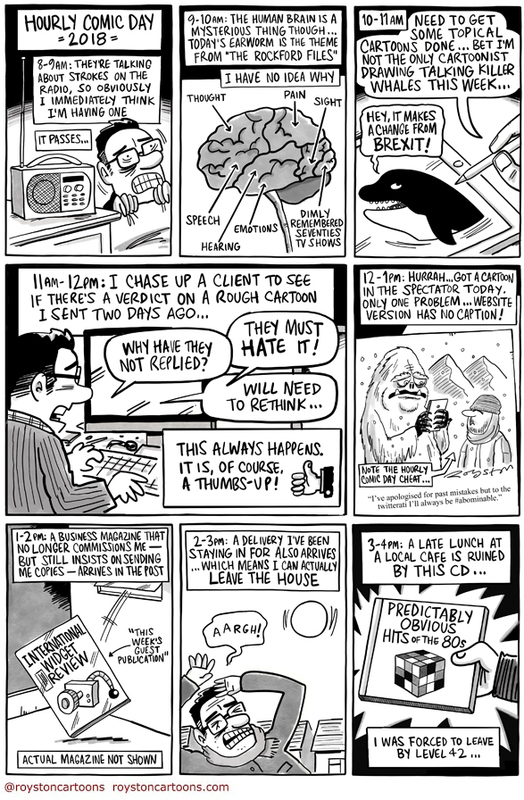 I had another go at doing an #HourlyComicDay strip. Click to see larger versions of page one and page two. 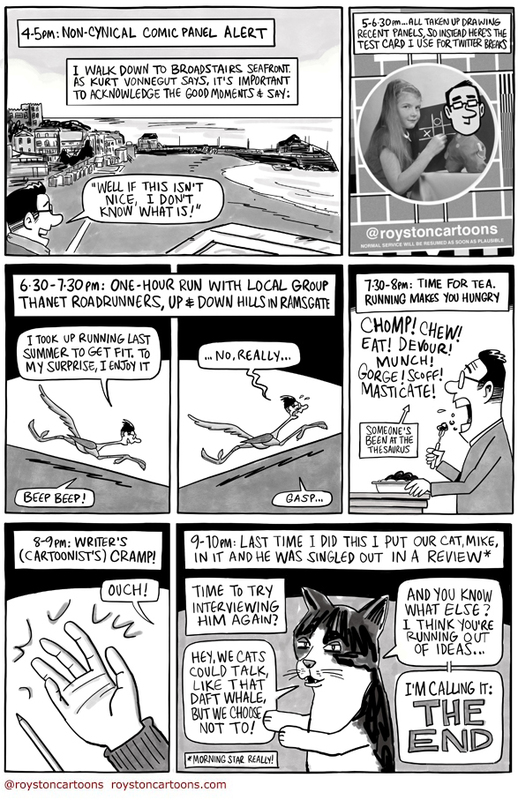 Hourly Comic Day, which happens every year on February 1, involves, logically enough, drawing a comic panel or panels every hour for all the hours you are awake and sharing it on social media. This is the first time I've done it since 2015, which was the first one I did. You can see that here. It was later published in the anthology Dirty Rotten Comics. I managed to do it on the actual day this year, rather than a day late, and I completed it before I went to bed this time! It was pretty exhausting though, as this year I was also determined to make it a full two-page strip with the addition of some double-size panels. As ever, it's a bit rough around the edges and there's plenty I would change, but that is the nature of the project, drawing and publishing quickly without refining too much.